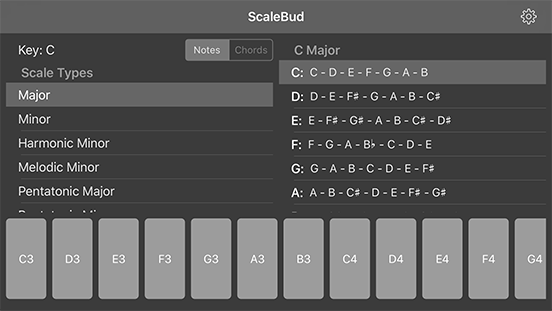 More than 40 scales you can work with their notes or chords. 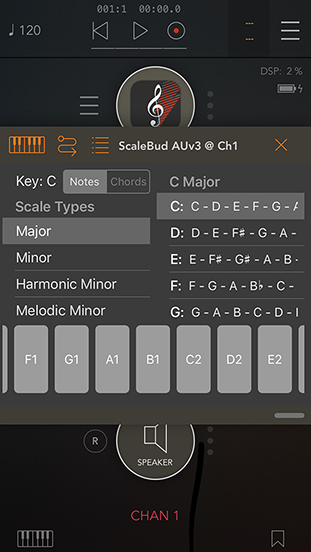 Select your scale, key and note/chord mode you want to work with. 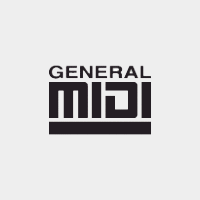 It's virtual keyboard will layout the notes or chords that you can send MIDI to your audio apps via CoreMIDI, Audiobus MIDI or AUv3 MIDI. In that mode, you can send the notes/chords from its keyboard. 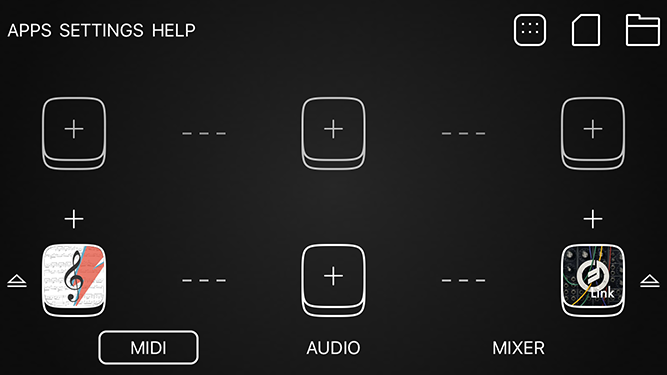 Also, you can use it as a MIDI Filter in Audiobus 3 as well. 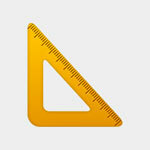 ScaleBud offers its core componets on Github. Easy to use Auto Layout tool for iOS and iOS Extensions in Swift.